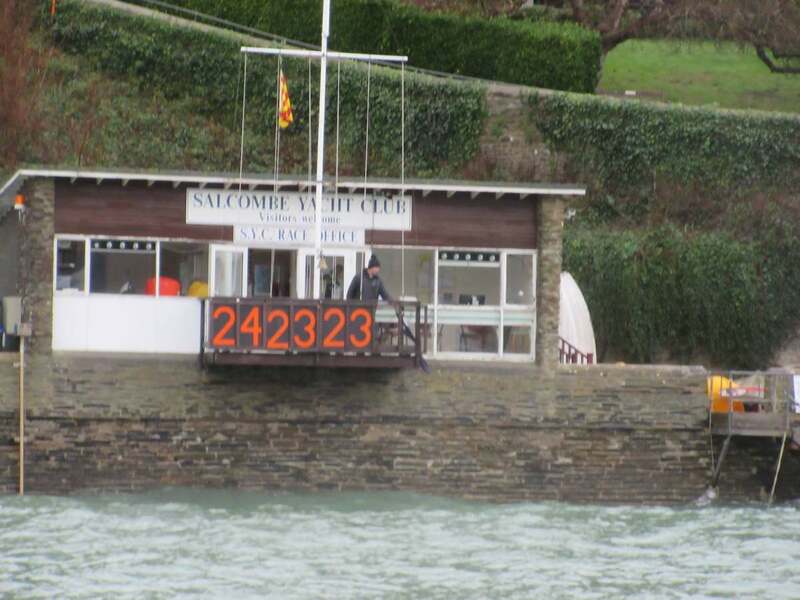 The Salcombe Yacht Club South West Water Trophy Pursuit Race has become a regular precursor to the Club’s Laying Up and Prize Giving Supper, and was held on the 1st December on a grey day, only to be matched by the de rigueur grey outfits of 20 or so of Salcombe’s finest dinghy sailors. Race Officer Julian Meek had spent considerable time splitting helmsmen of the principal fleets into degree of smugness, with the least smug setting forth a couple of minutes ahead of the super smug. Some of the less smug preferred to start late rather than admit to a lack of smugness, though the handicapper was proven in all cases to have got it right in the first place. 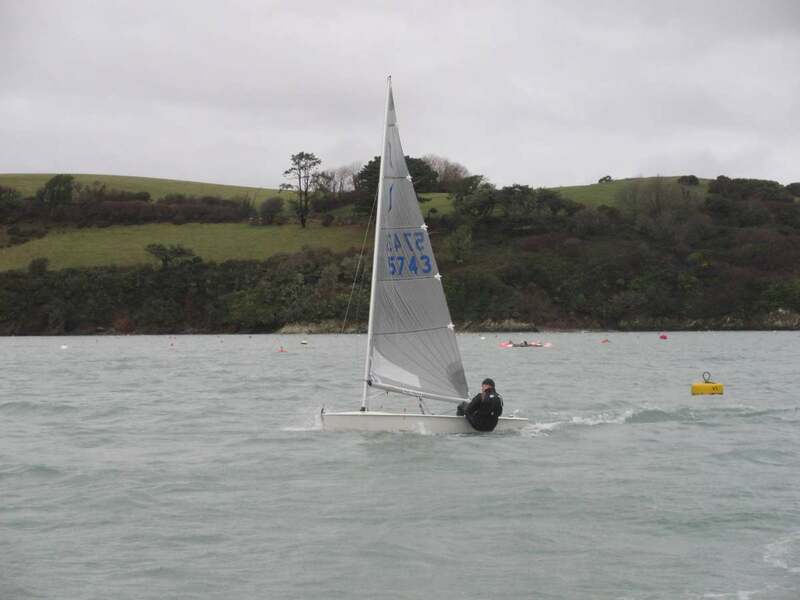 First away was the Laser 4.7 of 15 year old George Alexander, who sailed consistently in pressure, to lead the pursuing fleet into Yalton Creek who accumulated six capsizes between them at the gybe mark, allowing George to consolidate his lead. On the beat out of Yalton, the leading Solos of Simon Dobson and Tim Law, and the Aero 7 of Tim Fells emerged from the pack; however Alexander held onto his lead at the Mill Bay mark, and also for the next lap to Crossways. 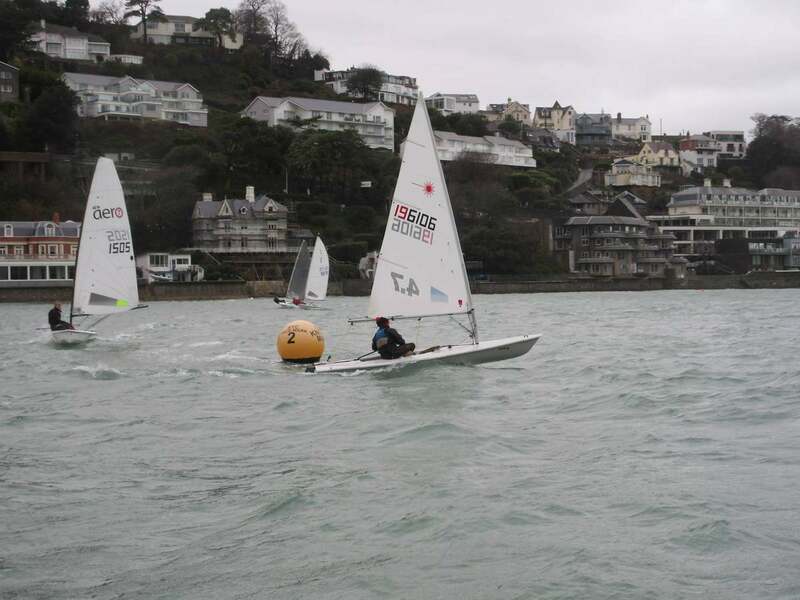 A high point of the race were the number of competitors making late attempts to win one of the yacht club’s most prestigious trophies, the capsize belt; with Law, Fells and Cranford-Smith all gaining nominations. 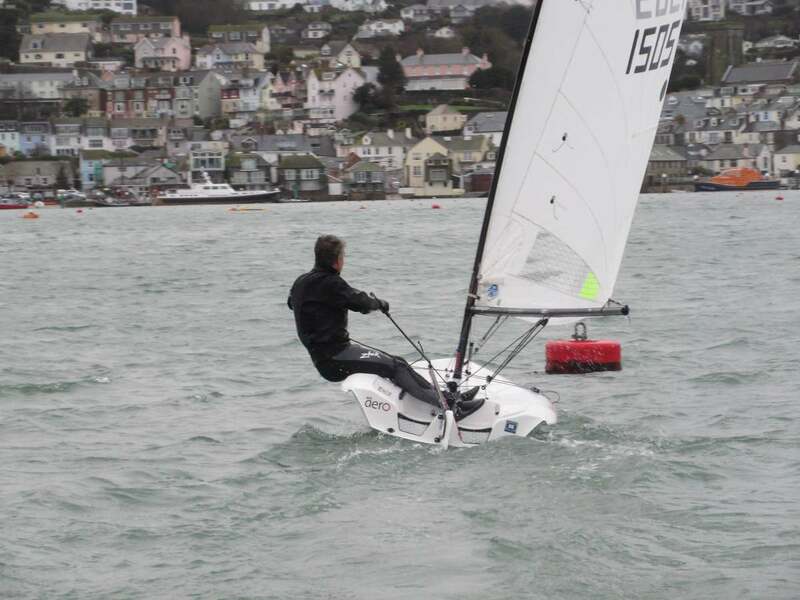 On the final lap, some massive gusts saw the Aero pick up its skirts, with Law and the Phantom of Alistair Morley also surfing into contention on the run to the final mark. By the time the 75 minutes were up, Tim Fells in the Aero 7 had pulled out a comfortable lead to take the winning gun, whilst Tim Law snicked second place from Morley by way of finding more pressure after completing his final tack. 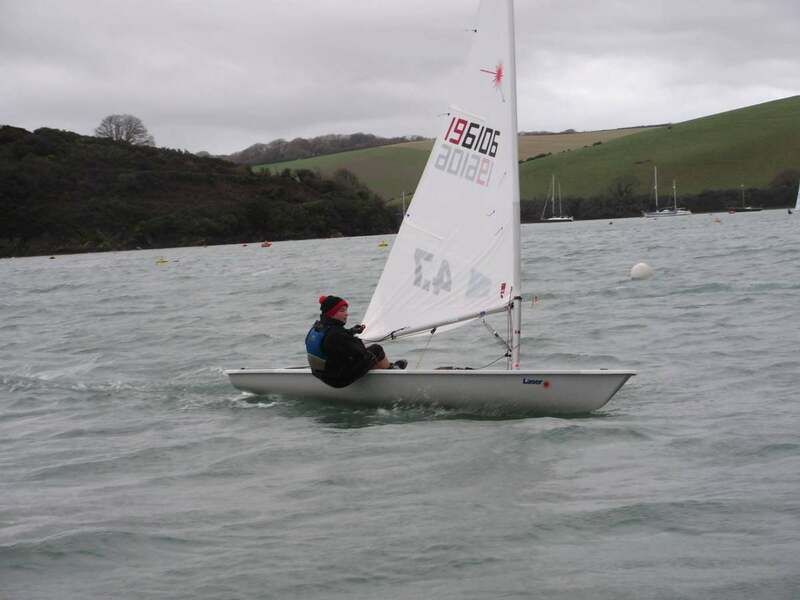 George Alexander finished an extremely credible 4th in the Laser 4.7 but there is no doubt that he will soon have his day.